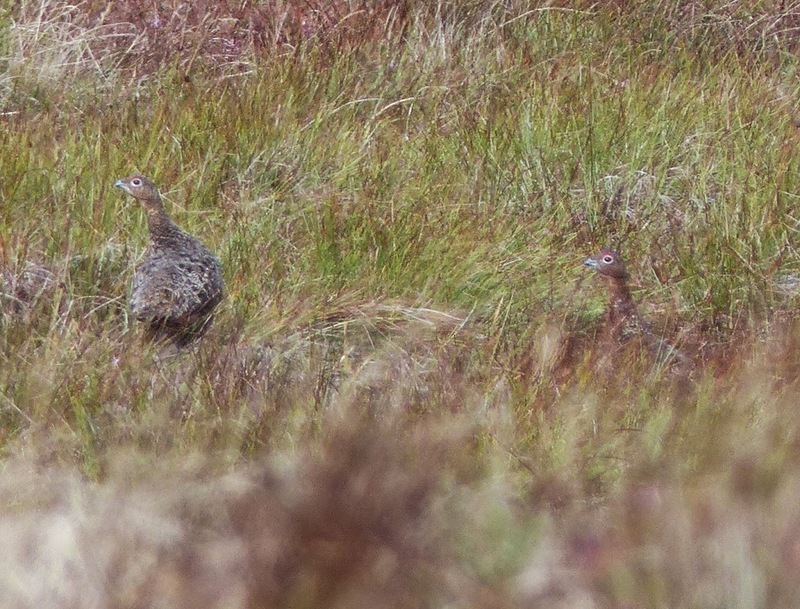 At one time Irish red grouse were considered to be a different race to those in the rest of the UK, but I believe that recent research has found no evidence to back this up. Just a few short weeks ago I was admiring Devil's bit scabious on dry, limestone grassland on the Burren, where it grows to a height of 1m. 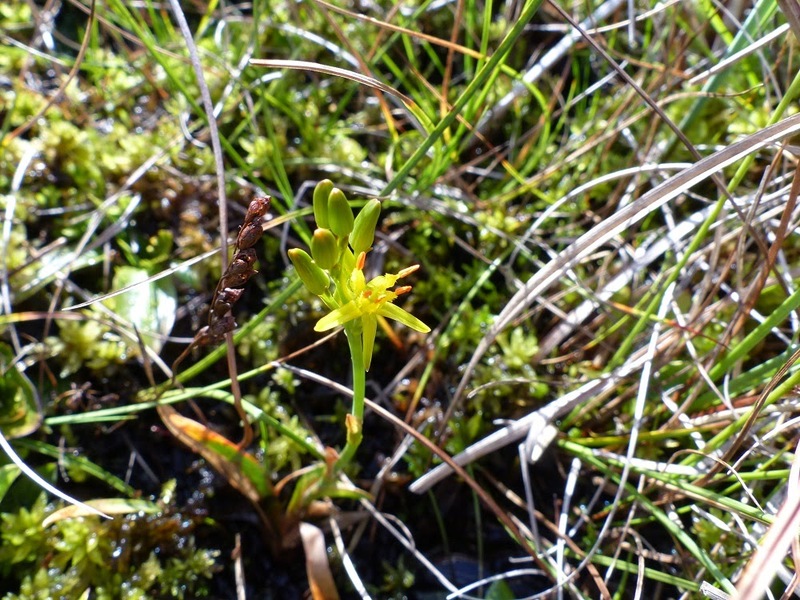 Yet here it is in full flower, no more than about 5 cm heigh, growing on the edge of an acid blanket bog in the company of sphagnum, bog bean and bog asphodel! I guess it's actually just another Burren oddity. The plant normally prefers acid soil, but it certainly also thrives on the limestones of the Burren. 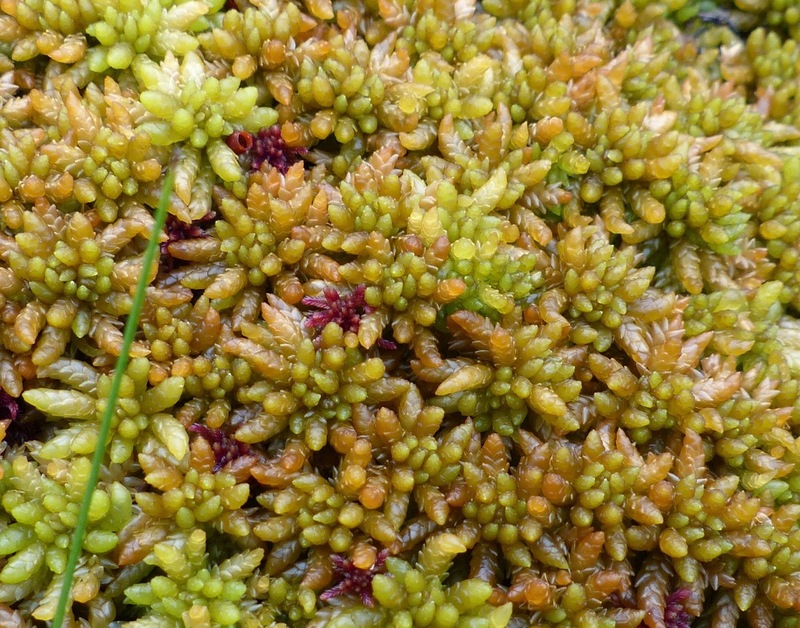 The ochre coloured sphagnum at the bottom of this photo is the very distinctive, Sphagnum papillosum. This is my NVC quadrat. 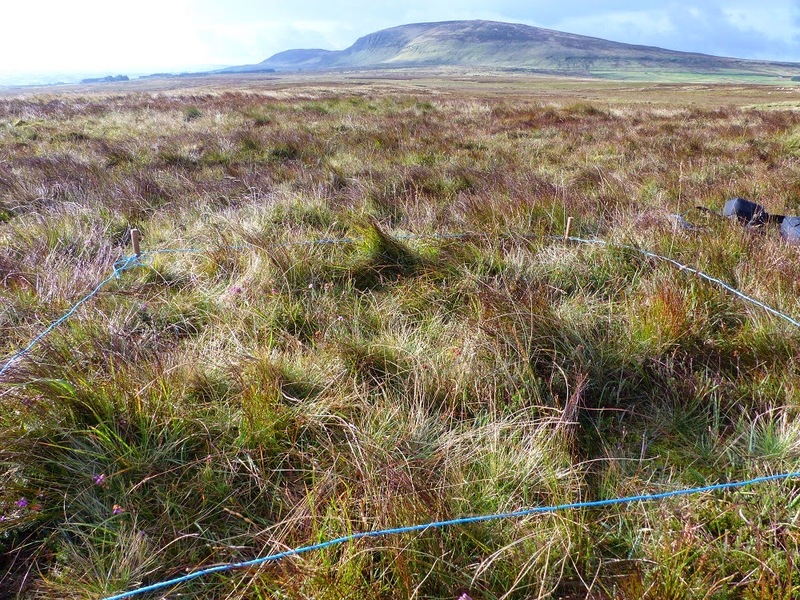 NVC surveys are plant community surveys, which involve identifying every plant in the quadrat, including all forbes, but also grasses, mosses, sedges, rushes and lichens etc. The composition of the plants in this quadrat when taken in associaton with other quadrats allows a community type to be assigned. 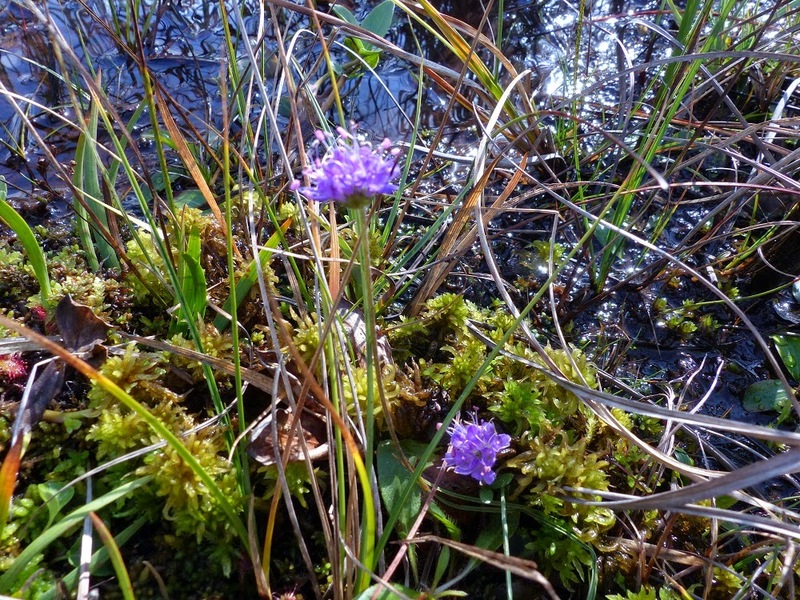 Plant communities form the basis of habitat conservation and protection. 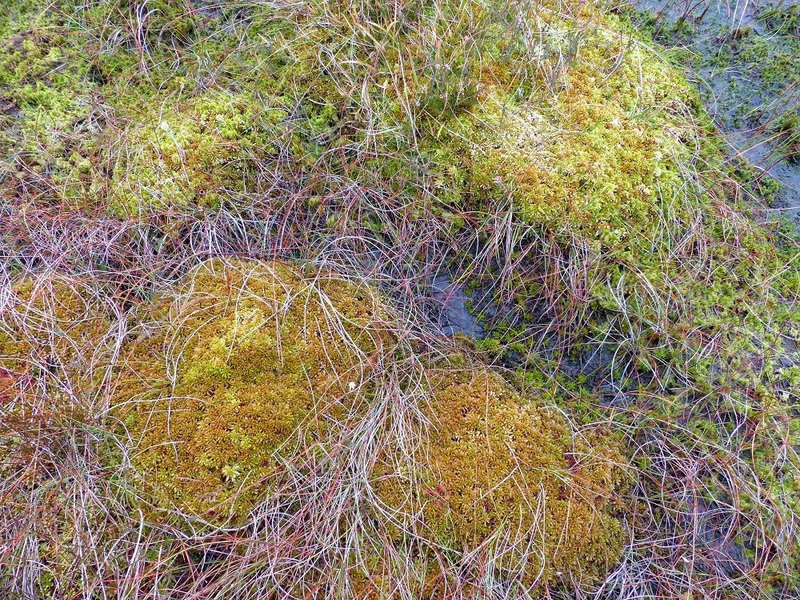 I'm currently working on a mosaic of bog and heath communities in Ireland. Really interesting stuff! I was quite surprised to find this lone bog asphodel in flower. Most of the rest are well over.